More permanent cage for holding fish for longer periods of time. These are suspended from a dock or in a pond. 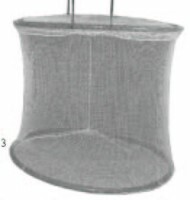 Consists of three sealed hollow rings and attached netting that collapses when not being used. Bottom ring is weighted to keep the cage in position and maintain cylinder shape even in currents. 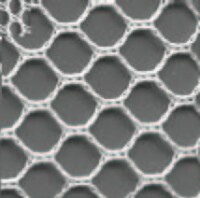 Top rings provide floatation with the upper ring serving as lid as well. A Velcro lid latch keeps the lid from being opened by birds and other predators. 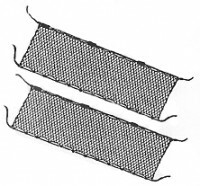 Netting is 3/8″ mesh soft nylon. Entire cage is made from non-corrosive materials.